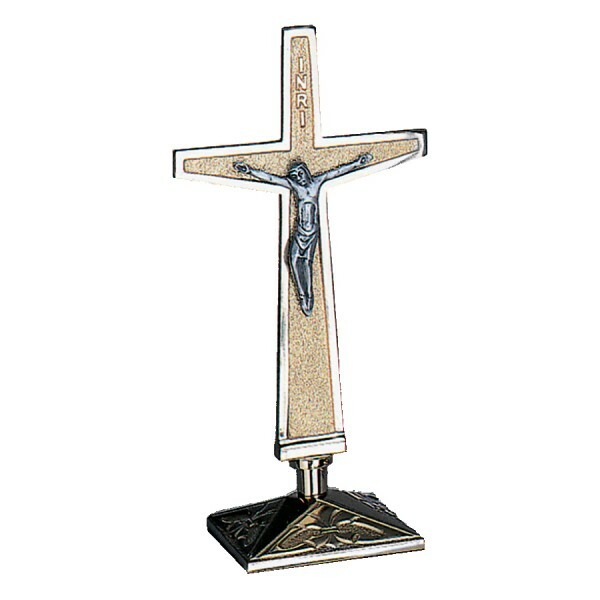 Excelsis 200 series Altar Crucifix, 21" high with a 6" square base. Made of Bronze with a High Polish Finish (as pictured). Also available in a satin finish, or in Brass with high polish or satin finish. Many matching items are available in the 200 series. Smaller cross also available, see item #200-133A.